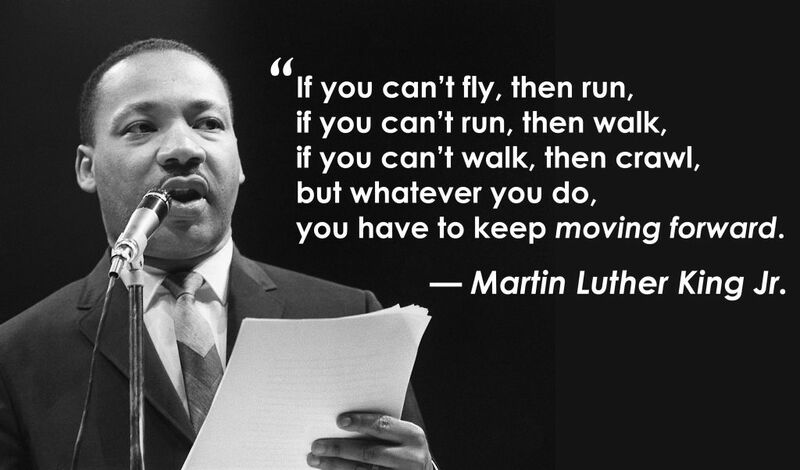 Martin Luther King, Jr. is a civil rights icon and one of the best orators of all time. His legacy is absolutely timeless and his words still resonate with us after so many years. On the third Monday in January we recognize his legacy. The third Monday in January each year is designated Martin Luther King, Jr. Day because it is close to King’s birthday, January 15th 1929. While we all may know Martin Luther King’s I Have A Dream speech, it was his consistent dream of love, peace, equality, and brotherhood that made him into one of the world’s greatest leaders. In honor of his legacy, I have put together a list to share with you of top ten Martin Luther King quotes that inspire me.